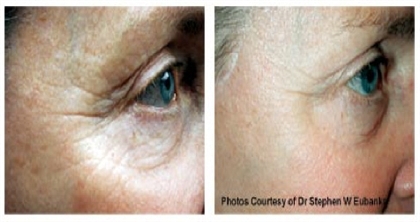 the fractional CO2 laser, or the Candela V-beam Perfecta laser. Laser photorejuvenation requires no surgery, has little to no downtime, is generally well tolerated, and requires minimal anesthesia. Only topical numbing gel is used for Fraxel re:store treatments. The fractional CO2 laser requires only oral medications for comfort in addition to topical numbing gel. 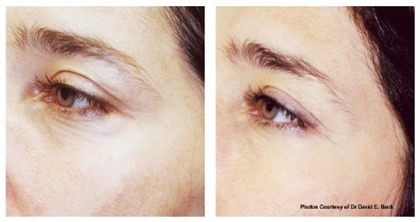 The V-beam Perfecta laser comes complete with a Dynamic Cooling System, which prevents bruising and minimizes pain. These outpatient procedures are perfect for rejuvenation of the skin.